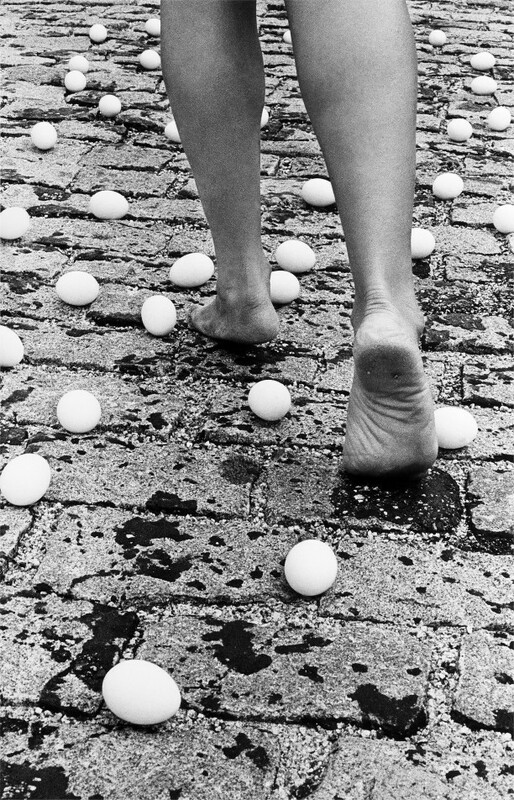 Originally performed by Anna Maria Maiolino in 1981, Entrevidas was a literal manifestation of the expression “to walk on eggshells.” The artist covered the ground with dozens of chicken eggs, scattering them in the street, which she then had to navigate. To mark the opening of the Getty’s Pacific Standard Time: LA/LA initiative, MOCA will re-present this work as part of a special performance in conjunction with the exhibition Anna Maria Maiolino. Maiolino will perform the work. ENTREVIDAS WILL BE PERFORMED AGAIN BY ARTEMISA CLARK ON SUNDAY, NOVEMBER 5, AT 3PM.